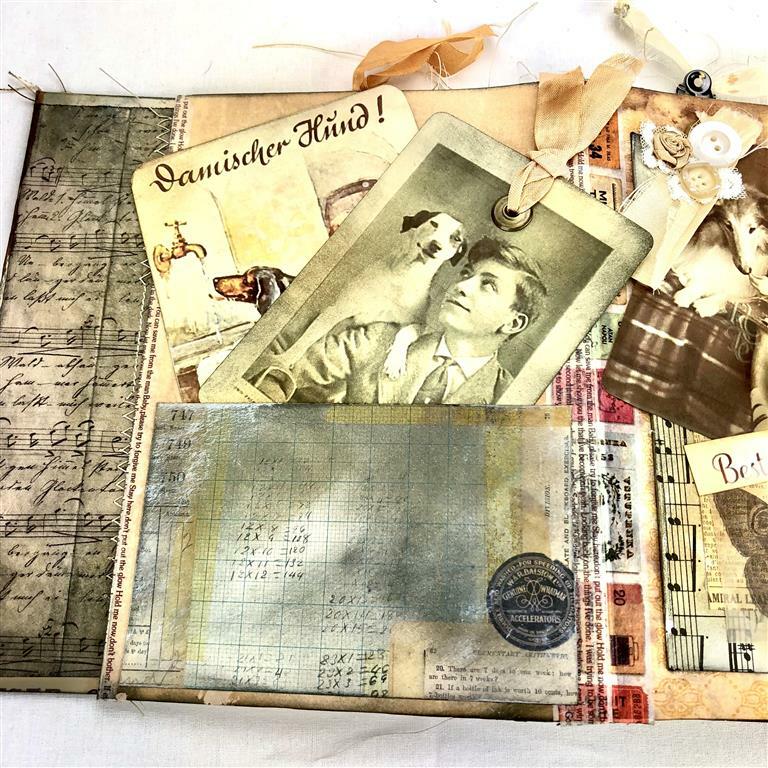 Lap Book Junk Journals are so much fun. 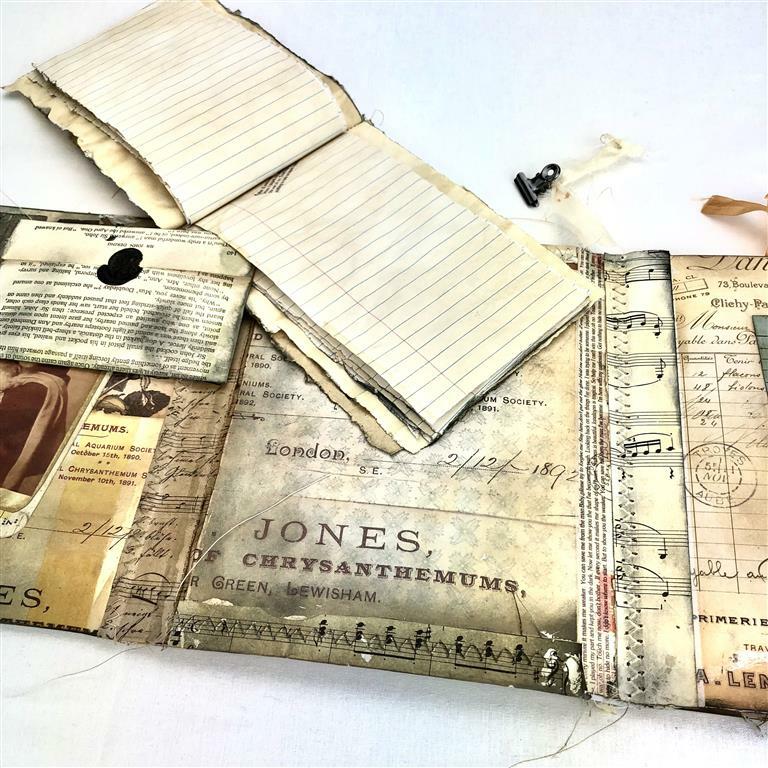 There are pockets and tags on just about every page with loads of room to add even more tags and your own story. 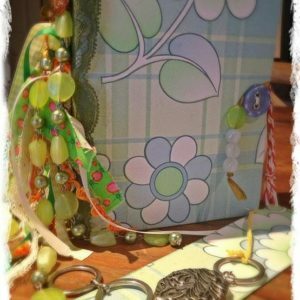 You could re gift the tags or just make your own creations. 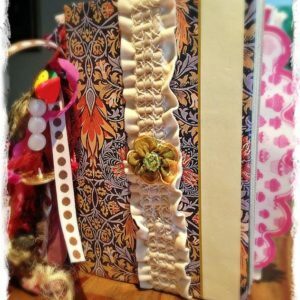 There are 7 flip out journal pages for you to explore. 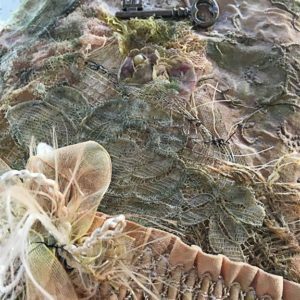 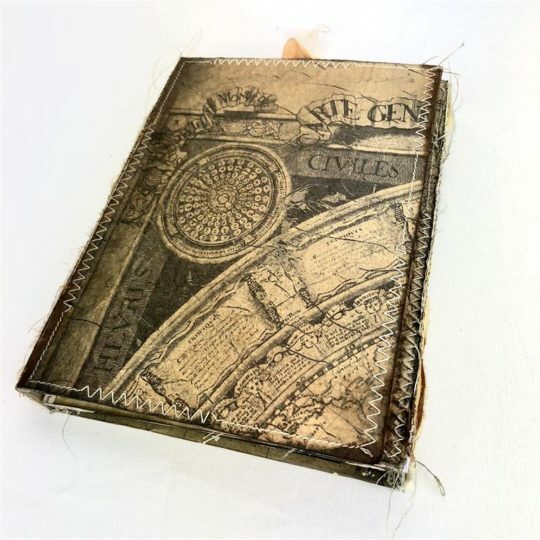 The spines are beautifully sewn with raw silk leaving stray threads to add to the character. 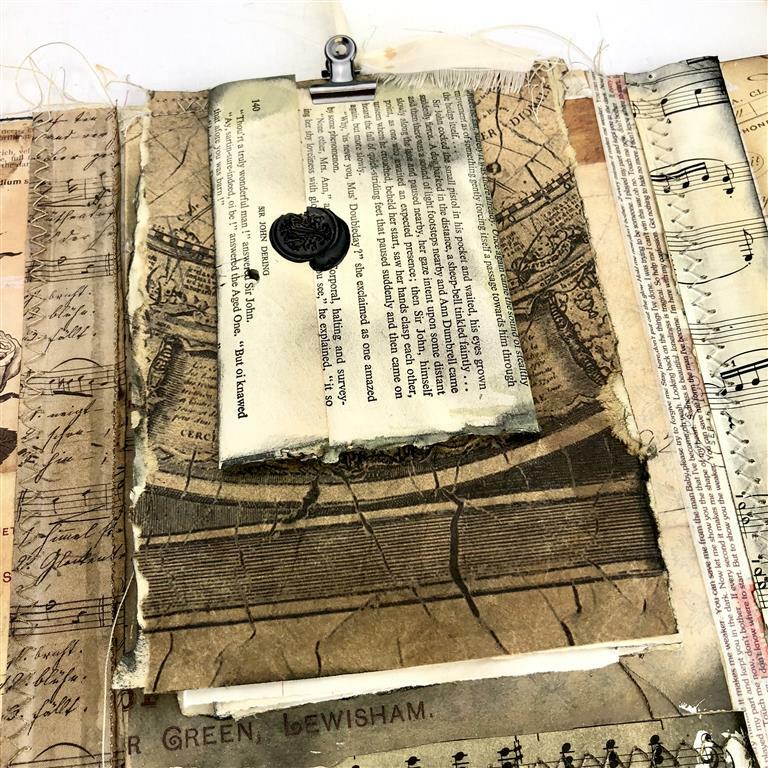 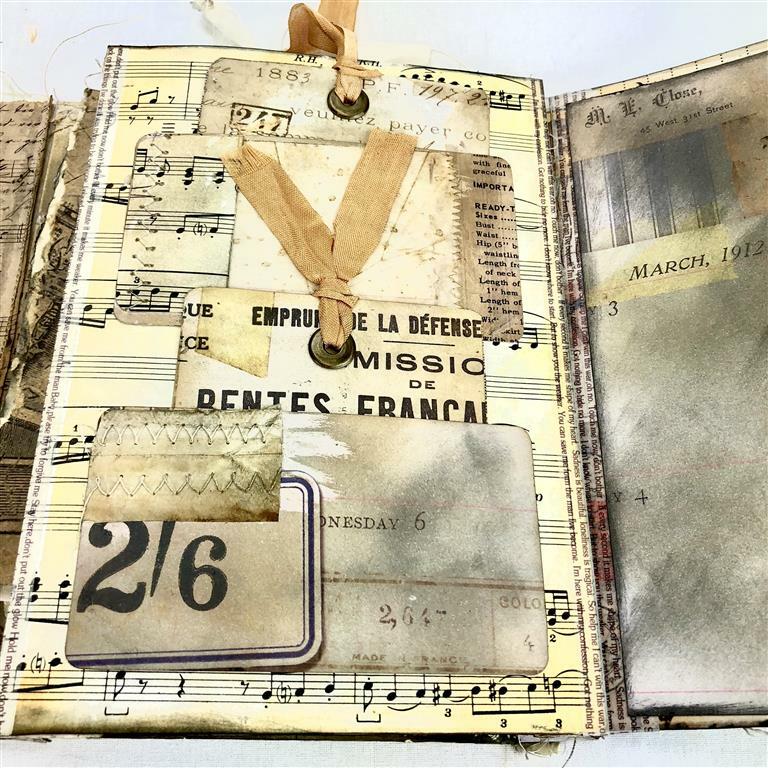 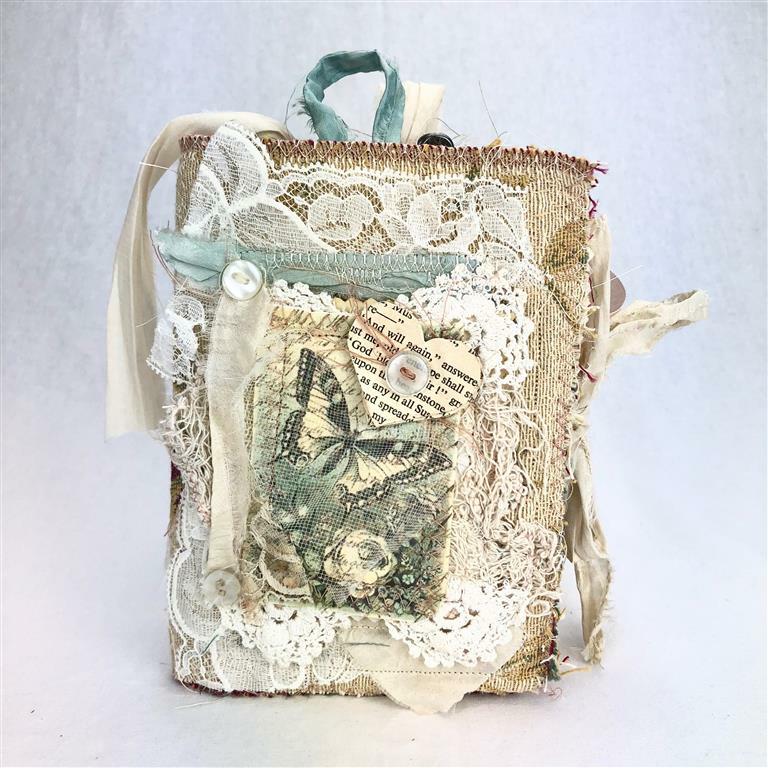 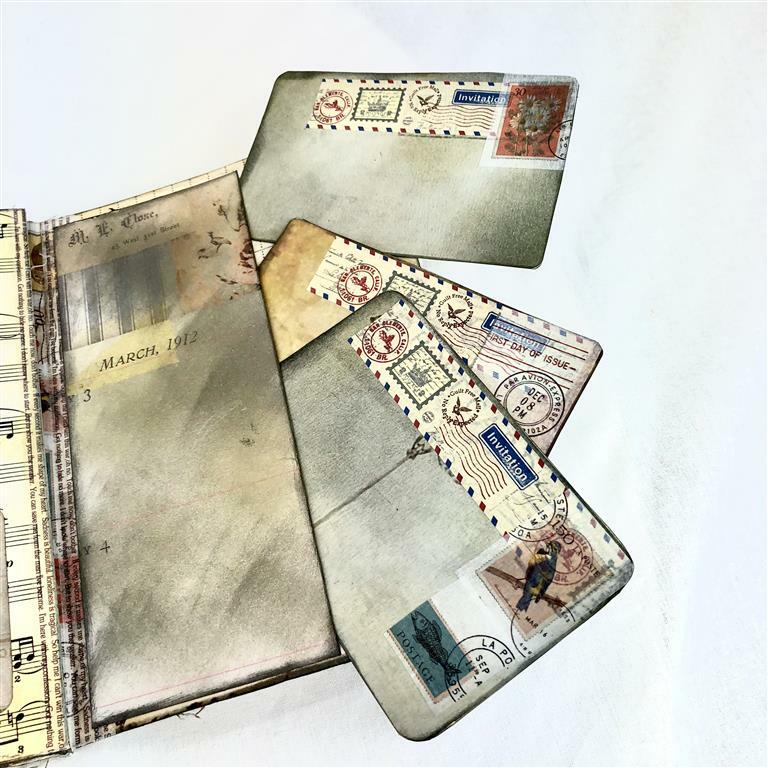 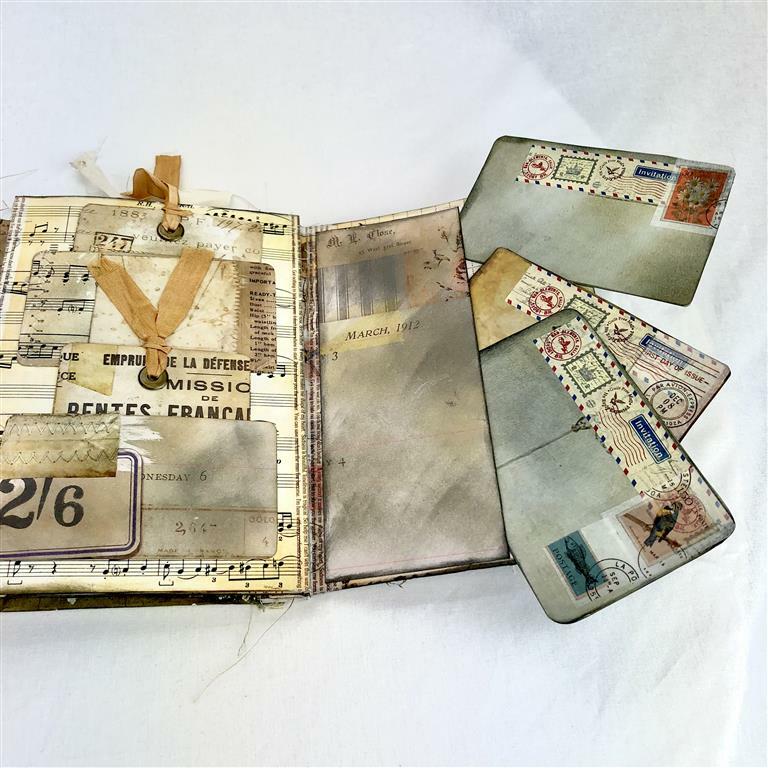 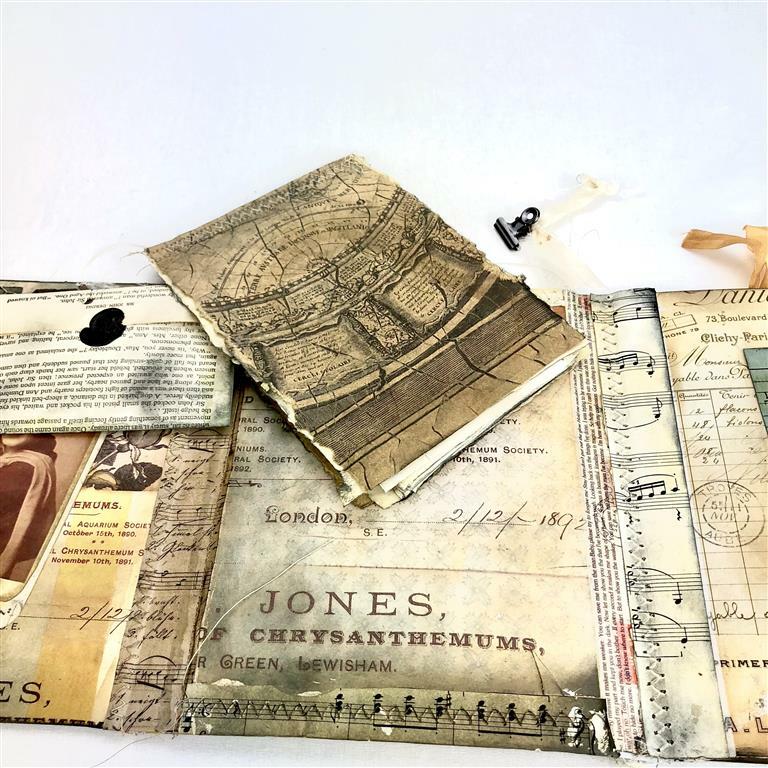 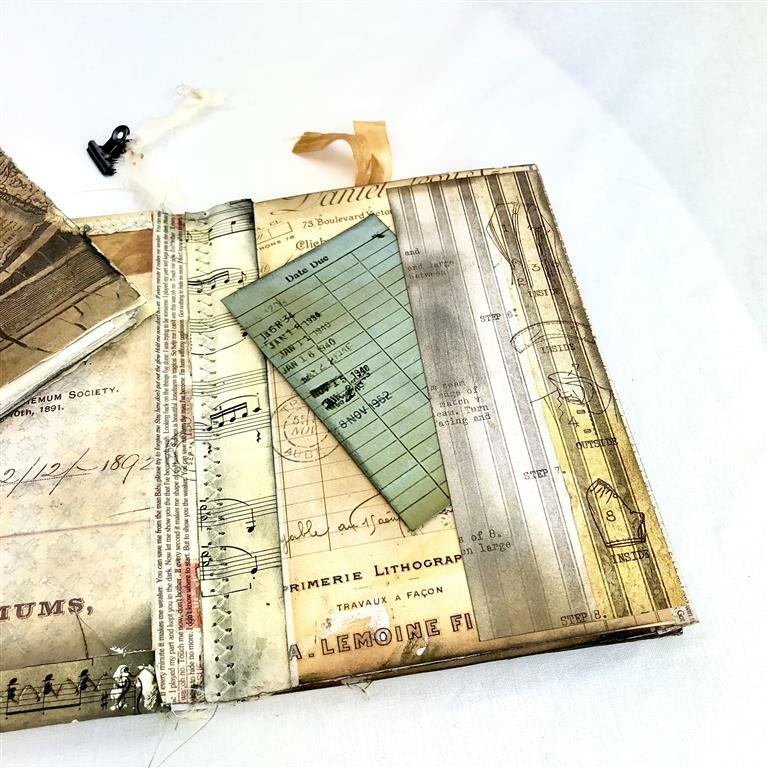 The more the Lap Book Junk Journal is used for writing or adding memorabilia the better it will look and become your very own piece of vintage treasure. 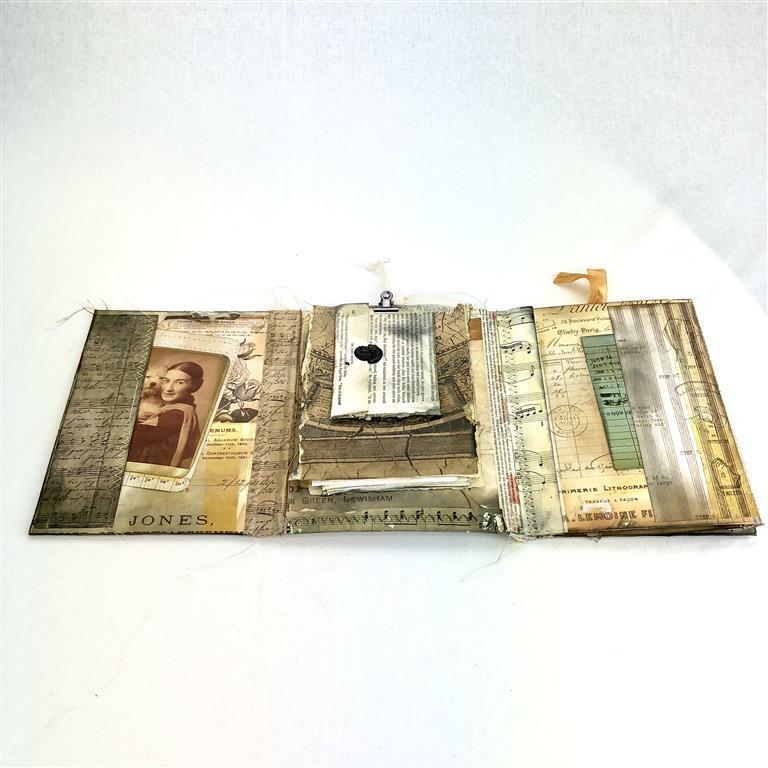 Lap Book Junk Journals are all made out of some recycled cardboard, paper and items that’s have also been gifted to me to use on my Junk Journals. 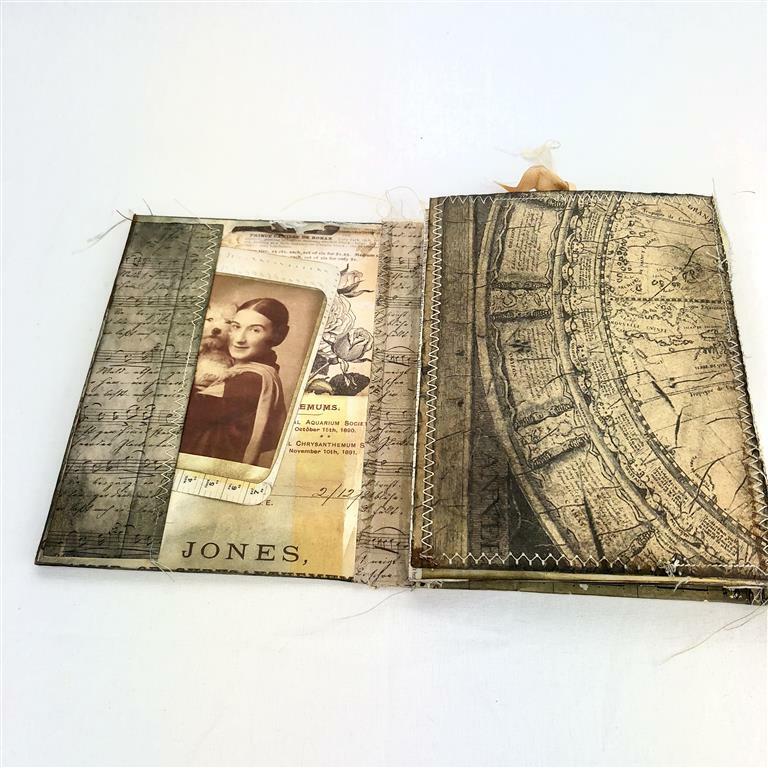 Lap Book Junk Journals are also made out of glue, washi tape, silk, and hand and machine sewing.